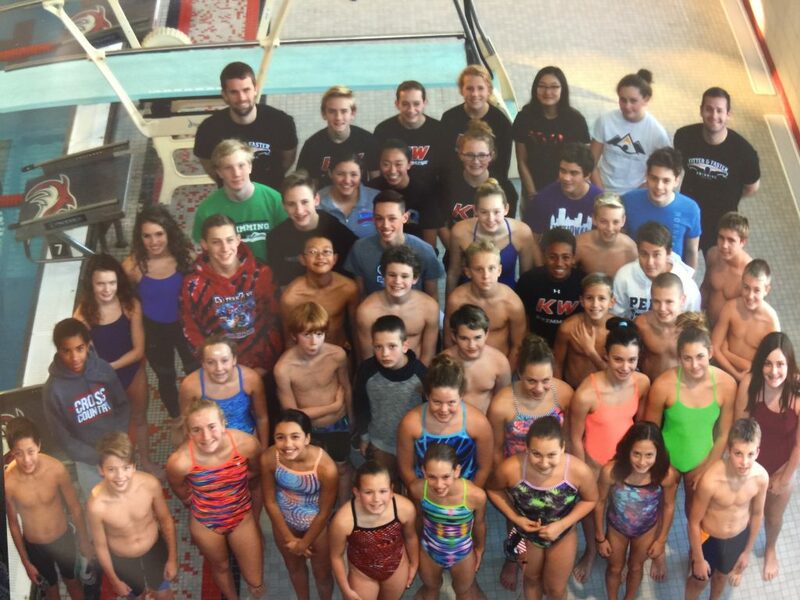 The weekend of November 10th and 11th, Fitter and Faster was able to travel to Pittsburgh, Pennsylvania to present the Allegheny Mountain Swimming Age Group Select Camp put on by the Allegheny Mountain LSC (Local Swimming Committee). We had Tyler Clary and Andrew Appleby leading all four sessions and providing feedback to the participants. This camp was by invitation only and it covered all four strokes as well as efficient turns, explosive starts and underwater dolphin kicking. When this camp was proposed the Allegheny Mountain LSC had a question: “How do we create a lifelong passion in young athletes in areas where opportunities to promote competitive swimming is limited?” This LSC had a unique solution to this dilemma, Age Group Vice Chair, Charles Lersch, reached out to Fitter and Faster with an idea. He proposed an Age Group Select Camp using Fitter and Faster as the highlighted curriculum for the weekend. We had the opportunity to sit down and talk to Charles Lersch about why he wanted to put on this clinic for his LSC. His LSC faces the same problem that dozens of LSCs face across the county, just a lack of resources and opportunities for the age group athletes to participate in elite level instruction. The emphasis was to create well rounded swimmers, not just great backstrokers or great freestylers but great overall swimmers. Lersch saw the opportunity to create an experience comparable to Elite Camps for the Senior athletes. The Senior Elite Camps are similar in the selection process, and it is an expenses paid opportunity for the top senior athletes to come together in a training camp style weekend. It’s not a secret that there are many swimming clinics and resources on the market, so why choose Fitter and Faster? 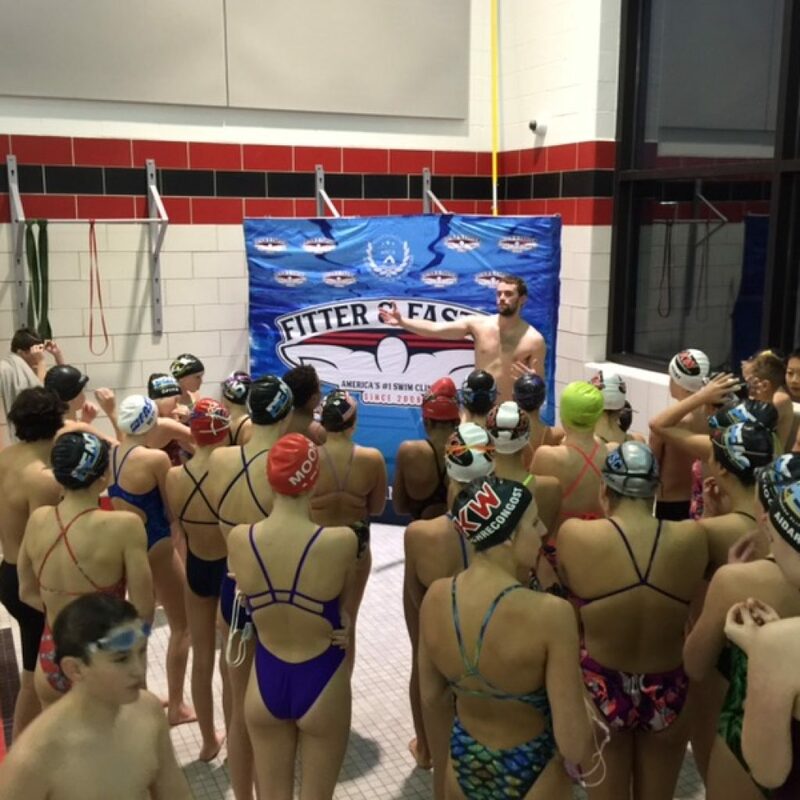 “I didn’t just want an autograph session but a meaningful experience and that supports the cause of competitive swimming and promotes this lifelong love of the sport.” Lersch felt it was necessary to provide the best experience for his aspiring athletes and Fitter and Faster offered the full package. The LSC did not have to worry about paying rental fees or any sort of risk, the only thing that they had to provide was pool space and recruiting the athletes everything else was taken care of which made the process stress-free and a breeze. On top of that, the sheer number of clinicians and coaches that there are to choose from allow the host to customize and create the clinic that is right for their athletes. Tyler Clary and Andrew Appleby both gave high praise for this clinic and noted that it allowed them to go deeper into the purposes of way they were teaching certain drills. Appleby pointed out that having this Age Group Select Camp allowed him to hit more complex topics such as the mechanics of swimming and speed without the concepts being lost. 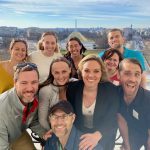 All the swimmers were excited to be selected and they were actively contributing to discussions about technique and strategies for better swimming. The great thing about clinics of this selective nature is that they not only benefit the athletes but they also benefit the local LSC. There were several instances that Lersch mentioned “igniting the spark”, these special clinics create these opportunities that wouldn’t otherwise exist and the kids would have to seek it out elsewhere.